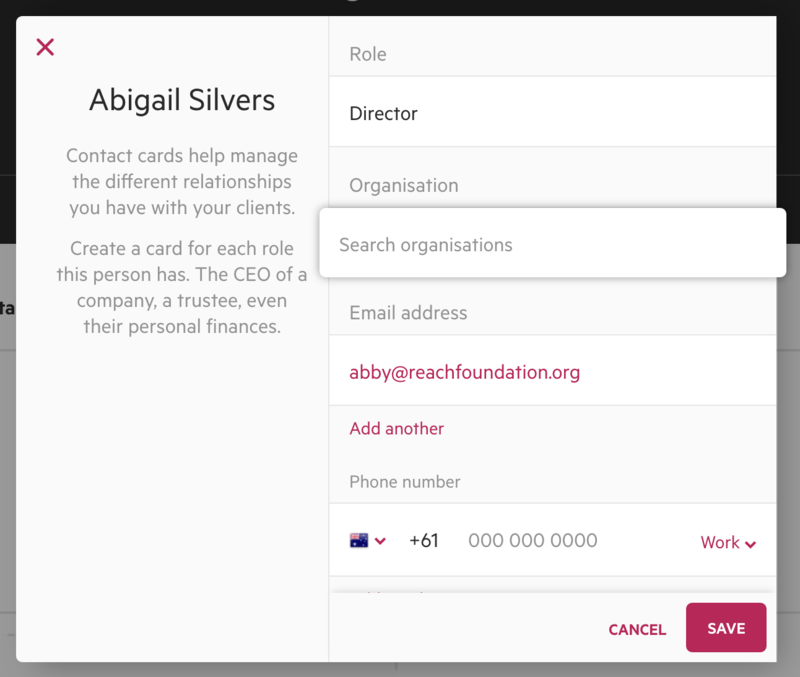 Note the relationship between people contacts and organizations, using contact cards. People and Organizations are separate contact types in Karbon. If an individual is associated with an organization, they can be linked together. This helps your team keep track of the relationships your clients have with their entities, and vice versa. 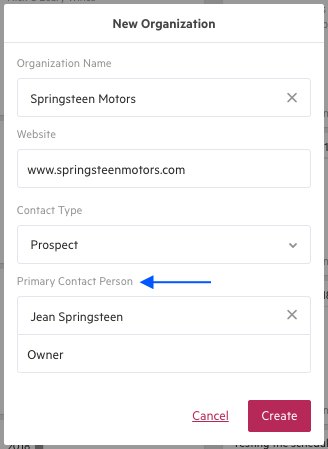 When you create a new contact, you will be presented with a modal to input their most important details. 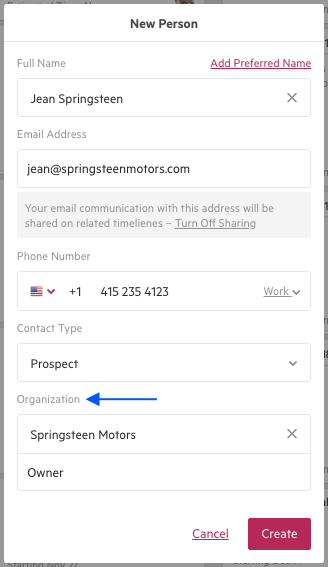 At the bottom of this modal you have the option to link that individual to an existing organization contact, or create a new one. If you are creating a new organization contact rather than a new person, you will also have the option to add a primary contact for that organization—linking them to each other in the process. Open the Person's contact card, and click Edit. You can then enter the contact's details and add the appropriate organization in the organization field. If you start typing, Karbon will search within your database and suggest an entity. If you haven't already created the organization contact, you will be able to create a new one right there.